The 22-year-old forward has gone from Harvard to PyeongChang, South Korea, back to Harvard, on to the Boston Bruins and the AHL Providence Bruins. He donned a fifth sweater after he was acquired at the trade deadline by the Minnesota Wild last month. Donato took a break from his junior season at Harvard to play for the United States at the 2018 Winter Olympics. He then returned home to conclude his third year at Harvard before he joined his hometown Bruins for the final dozen games of the regular season and three more in the Stanley Cup playoffs. He made the Bruins out of training camp last fall, but twice he was assigned to the AHL Providence Bruins before he was moved to the Wild. “The Olympics and playing in the NHL definitely were the highlights,” said Donato, who led the U.S. with five goals in five games. “I never thought I’d get the opportunity to play in the Olympics. It was a dream of mine and the ultimate goal, but I thought playing in the Olympics would be something that would happen after I made it to the NHL and played well enough to play for the United States. All this experience in the different settings over the past 13 months has taught Donato a lesson. Even though he left Harvard early and is four classes short of his sociology degree, Donato plans to take two classes this summer and two more next summer to graduate. 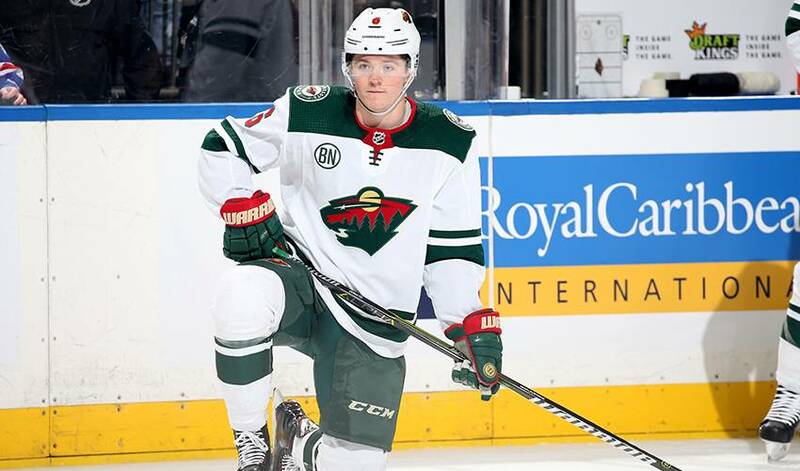 It was during his second stint in Providence he was driving to Boston to have dinner with his father and girlfriend last month when he found out the Bruins had traded him to the Minnesota Wild as part of a deal for veteran forward, Charlie Coyle. It was difficult news to take. As mentioned, the Bruins were the club that was near and dear to Donato. He cheered for them as a youngster. His father Ted was not only drafted by Boston he played most of his 854 combined regular season and playoff games in the NHL for the Bruins. Young Ryan was over the moon when the Bruins selected him in the second round (56th overall) in 2014 draft. He did his best to work hard and develop in his three years at Harvard under the watchful eye of his father, who also not only played at Harvard but performed for the U.S. at the 1992 Winter Olympics and is in his 15th season as the head coach of the storied Boston university. Ted Donato had his share of stops in the NHL. After his first seven-plus season of pro with the Bruins he suited up for the New York Islanders, Ottawa Senators, Anaheim Ducks, Dallas Stars, Los Angeles Kings, St. Louis Blues, New York Rangers before returning to the Bruins for a final season. So the younger Donato looked at his move as a “fresh start.” It was a chance to join his Olympic roommate Jordan Greenway, and the deal has turned out to be one of the better transactions on trade deadline day. The versatile forward quietly has put together an impressive near point-a-game pace (four goals, nine assists) in his 14 outings with his new team that has gone 7-4-3 since acquiring Donato on Feb. 25. He credits his father with words of wisdom in helping him deal with the trade. “He’s a freak in the sense he watches more hockey than anybody I’ve ever met,” said Ryan, whose younger brother Jack is in his second season at Harvard. “My dad obviously watches his own games and does pre-scouting for his team. But he watches all my games, whether in person or on television or on video. What tops the Minnesota Wild forward’s list? Here’s a pair of hints: it debuted in 2005 and won the People’s Choice Award for Favourite New TV Drama that same year.